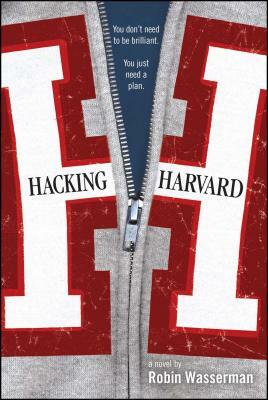 The novel Hacking Harvard by Robin Wasserman starts with a prank. Readers quickly learn that these characters aim to do things that will make people stop and think, to consider what's happening - no whoopee cushions or silly hacks, but rather, something that means something, that makes a statement. The bet is to get someone into Harvard that wouldn't get in otherwise. Not a prank, Max clarifies, but a hack. Forget the kid stuff they've done before - this will be something huge, powerful, meaningful. Schwarz doesn't want to get expelled. Eric doesn't want to do something immoral. They find out that this is a bet Max made with the Bongo Bums. Named after Richard Feynman, a prankster and bongo player, they are two juniors from Boston Latin High School who make bets and do things for bragging rights, and want a rivalry with the other boys, who'd rather be left alone and do their own thing. Max pretends the bet is for $100 but the amount increases throughout the book. "We're going to take the biggest loser we can find - the least ambitious, least intelligent, least motivated, most delinquent and drugged-up slacker we can get our hands on - and we're going to sucker this school into letting him in." At least, that's what is shared with the readers on page 46. Our players are not so forthcoming with the full details. Readers learn more about the terms and the payout as the book goes on. It's not about sabotaging the other party's candidate but getting your own candidate IN. They get a tough guy named Clay who beat Eric up as a kid, when Eric tried to stand up for other kids and ended up as the punching bag. Also along for the ride is Alexandra Talese. Wanting a name that is a little daring and edgy, she has decided to go by Lex in college. She takes the name out on trial run during her first in-depth conversation with Eric, after the SATs. Let's not forget Schwarz: geeky fellow, camera peeping got him out of their high school and homeschooled for two years. Now 16 and a Harvard freshman, this 96-pound weakling prefers numbers and photographs to real-life people, as humans are inherently flawed and photographs trap beauty on the page. Schwarz is eloquent. He doesn't necessarily use huge words, but he always uses full sentences and sometimes sounds a little antiquated ("I was not doing anything of any importance") as he actively avoids swearing and contractions (he tends to say "it is" rather that "it's"). He is awed by beautiful college girl named Stephanie who whines to him about her dates and breakups. He would be right at home in an 80s movie - and Max would then sell the movie poster on eBay. The book also closes like a classic teen movie, providing information on what happened to all of the major players after high school - what colleges they attended, what career paths they followed, et cetera. There's also a disclaimer from the author asking readers not to hack in because it would be wrong, illegal, and dumb, and it's clear that she has both compassion for rising seniors dealing with college applications and total respect for admissions officers. 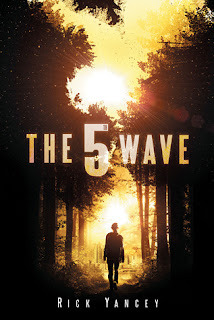 The book is mostly told in third person with first person woven in at the start, making readers curious about the narrator's identity until it is revealed - and it totally works. Enjoy the book - but don't get any ideas, okay? (1) Use What I Got by Lucy Woodward is an amazing song I have been known to listen to/belt out in order to pump myself up before a big event. I had the opportunity to sing it at an audition once - and I booked the gig. Boise, ID doesn't have too many major league celebrities, so it made some pretty big waves when our resident author Anthony Doerr hit the bestseller lists and then proceeded to win the Pulitzer for his second novel, All the Light We Cannot See. Me, I'm a skeptic. The more hype something gets, the more reluctant I become to jump on the bandwagon. Not only that, but I've long betrayed my English major roots by doubting the readability and enjoyability of books that earn major awards. Consequently, I had no immediate plans to pick up the prize-winning WWII novel that everyone in town claimed to be reading until my book club named it as the choice of the month. Even then, I put it off until almost too late, and then began reading immediately to try to beat the clock. Except... I couldn't put it down. Labels: Everyone's Got Issues , Historical Fiction , See the World , Survival , War - What Is It Good For? All Marcus wants to do is ditch school with his friends to see if they can figure out the new clue for Harajuku Fun Madness. Doing so puts them seriously in the wrong place at the wrong time. It is while the group of friends are skipping school in a post 9-11 San Francisco when terrorists attack. In the chaos that ensues Marcus and his friends are picked up by the Department of Homeland Security and treated to a thorough questioning. Once released, Marcus very rightly feels very wronged by the very people that are supposed to be there to protect citizens. Marcus vows to make the DHS pay. 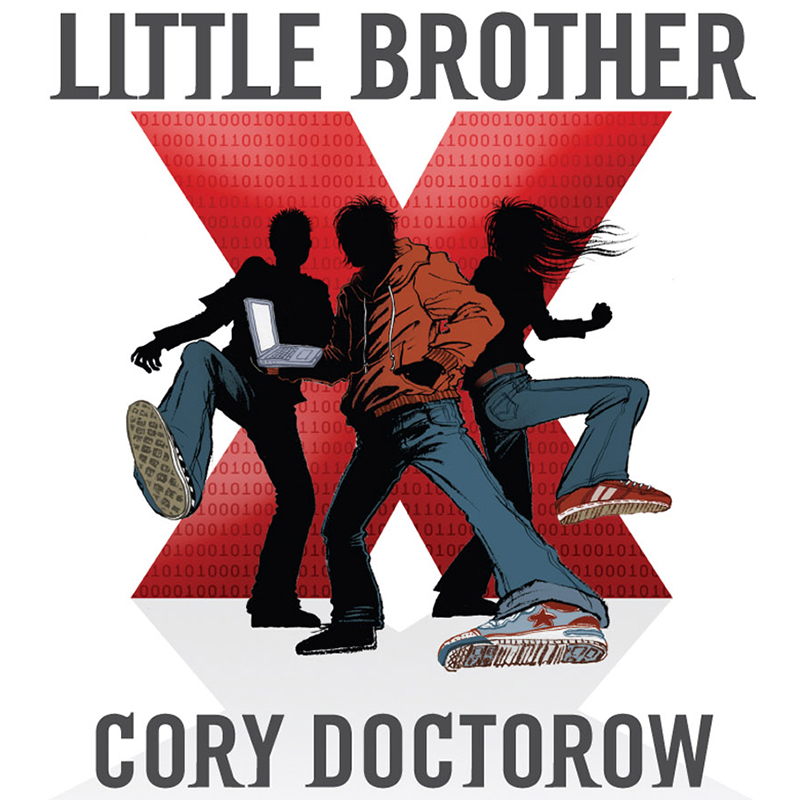 One techno-geek and his friends create a network of hackers determined to expose the brutalities and injustices inflicted on the everyday people of San Francisco in the name of "Security" for all. Doctorow masterfully describes the systems the Department of Homeland Security set up in order to track individuals and intimidate them. He creates an amazing array of technology based tools for Marcus and his friends to use to outwit the DHS out of easy to find and cheap materials, proving that sometimes an easy hack may function better than a really expensive device or system. 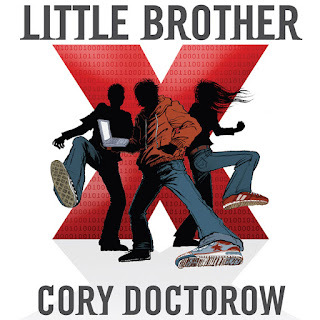 Readers that love technology, thrillers and the little guy fighting back will love Little Brother. A week after her mother found her sleeping on the ceiling, Amy Thomsett is delivered to her new school, Drearcliff Grange in Somerset. Although it looks like a regular boarding school, Amy learns that Drearcliff girls are special, the daughters of criminal masterminds, outlaw scientists and master magicians. Several of the pupils also have special gifts like Amy’s, and when one of the girls in her dormitory is abducted by a mysterious group in black hoods, Amy forms a secret, superpowered society called the Moth Club to rescue their friend. They soon discover that the Hooded Conspiracy runs through the school, and it's up to the Moth Club to get to the heart of it. Perfect autumn reading, don't you think? I hope it lives up to the description! Cassie hasn’t seen anyone in weeks. She’s lonely and scared and one of the last humans alive on earth. Everything in her life—in the world—has changed in the six months since satellites first spotted the Other’s mothership passing by Mars. Ten days after that sighting came the first of three waves of death, each more devastating than the previous. Billions of people die, including Cassie's mother, but Cassie, her father, and her five-year-old brother somehow survivied. Then came the fourth wave: Silencers. Aliens, impossible to identify because they look human, out to kill the few remaining human survivors. 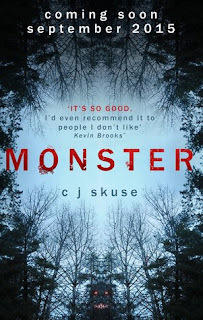 They succeed in killing Cassie’s father, and separating Cassie from her brother, Sam. Now Cassie is desperate to find Sam, and a few other surviving teens are fighting just as hard to stay alive, to stay human, as the fifth wave begins. 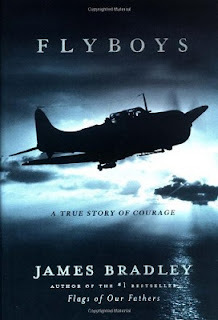 Fly­boys: A True Story of Courage by James Bradley is a non-fiction book about pilots in World War II. Mr. Bradley wrote sev­eral World War II books, the most famous is Flags of Our Fathers. Fly­boys is an inter­est­ing book about a group of young men who had no idea what they were get­ting them­selves into. They were brave men who watched their friends die and still flew day in and day out. I espe­cially liked the begin­ning of the book where Mr. Bradley talks about the his­tory of Japan, explain­ing how it came to invade other coun­tries and their feu­dal­is­tic cul­ture. The lat­ter came into impor­tance in the Japan­ese Army which made it impos­si­ble for sol­diers to refuse even the most inhu­mane orders. Mr. Bradley chose a strange way to tell this story. The author jumps around a lot between his­tory, per­sonal sto­ries and time­lines and it’s dif­fi­cult, at some points, to keep track or coherence. While there are some other issues with this book, it is a solid trib­ute to the brave Fly­boys in WWII. I would love to read his full inter­view with George H. W. Bush, who came across as gen­uine, tal­ented and modest. A mythical beast that supposedly roams the land outside of an English boarding school, the mother of all snowstorms and the claustrophobic hysteria worthy of The Shining. 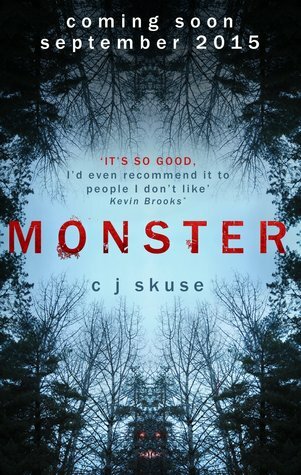 This is Monster by CJ Skuse. Natasha, or Nash as she's known by her friends, is attending the highly acclaimed Bathory Boarding School. Nash is competing to be Head Girl, no easy feat when you consider the competition that surrounds her - conniving, ego-centric girls that will high five you with one hand and stab you in the back with a compass with the other. Then there's Maggie, Nash's only real friend at Bathory. Maggie has issues, in that she appears to be desperate to leave Bathory under any means necessary. This includes violating every rule possible, resulting in the girls having all of their internet and mobile phone privileges removed by the school's Matron. Nash has bigger fish to fry, though. Her brother, Seb, has gone missing on a trip to South America, the only contact she has with her parents is on a shoddy pay phone in the school's reception area. Added to this, she's convinced she saw something in the woods one evening after her school netball game. Something big, something with yellow eyes. Her instincts tell her it's nothing, a trick of her imagination, but there's also a part of her brain that tells her it could be the fabled "Beast of Bathory," a gigantic cat-like creature that prowls the area, feeding on unsuspecting tourists and students. I was fooled. I thought that this next book was about a kid superhero called Stainlezz Steel who went about his hood defeating bad guys. the first few pages showed him bragging about defeating heavyweights super-villains. I thought yes here is someone the kids can root for and he is a superhero of color also! Boy was I wrong. Dear America: Letters Home from Vietnam is a collection of letters (and a few poems) written by soldiers and nurses who served during the Vietnam War. The editor, Bernard Edelman, did a wonderful job, and I would've written this review sooner, but I picked up another book, Home Before Morning: The Story of an Army Nurse in Vietnam. It was written by one of the contributors to this volume. Edelman follows each letter with a paragraph about the writer of the letter. He mentioned that one writer, Lynda Van Devanter, had written a book about her nursing experience during the war. It's maybe even more amazing than this one, but I have to say both books are for mature readers. Labels: Real Lives , Survival , War - What Is It Good For? From the creator of I Could Pee on This and I Could Chew On This comes a book full of sound advice for a good life. 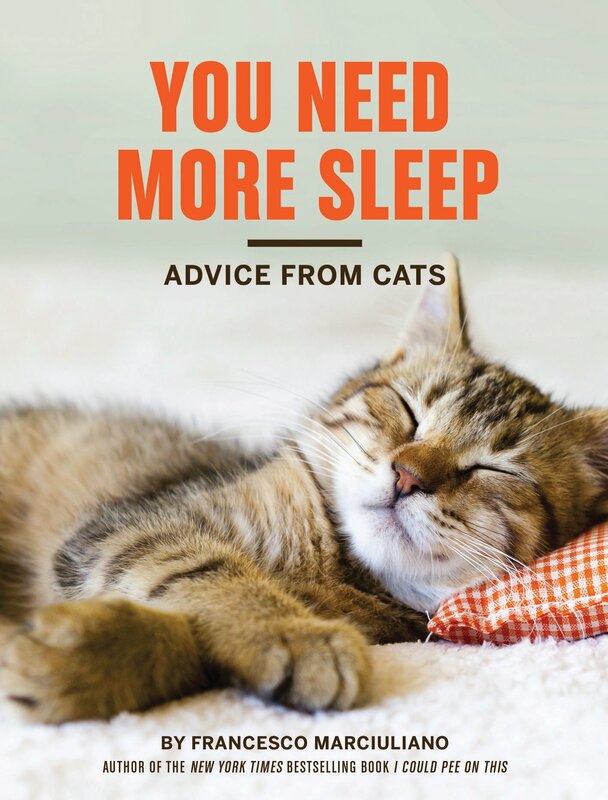 Or a cat's life, anyhow, and don't cats seem to have good lives? You Need More Sleep, unlike the aforementioned books, is in prose rather than poetry. It consists of an Introduction followed by chapters: "Personal Relationships" (avoid them), "Social Interaction" (avoid it), "Career Advancement" (eliminate rivals), and "You, You, YOU!" (just what you'd expect). The book actually starts sweetly with a dedication to the author's "childhood's cat Bettina, who taught me everything I know except how to lie on top of a refrigerator without falling off." The introduction urges us to "Listen to the Cats", based on their "lives of utter confidence, complete independence, and blissful indifference while people continue to drive themselves to the brink of insanity with self-doubt, neediness, and the horrifying sensation that whatever they just texted, tweeted, or emailed will be the very end of their job, relationship, or reputation." The first piece of advice in the "Personal Relationships" section is "Always Stay At Least 30 Feet from a Loved One", which extols the virtues of personal space. A healthy relationship is as much about being together as it is as about personal space. And the best way to accomplish the latter is by never, ever sitting still. If your partner enters the room, get up and leave. If they follow you, make for the stars. If they pursue, do a hard turn into the bedroom, bank off the dresser, double-back into the hall, careen into the home office, swipe the workstation clean, fall into a wastebasket, and go back down the stairs. Keep running until they go to work and you get the eight hours of peace alone you both need for love to bloom. The "Social Interaction" chapter features such noteworthy headlines as "Don't Be Nice to Unpleasant People", "It's Okay to Be Shy", and "Stay Quiet Just Long Enough to Be Taken Seriously" (possibly all sound advice, actually), interspersed with such things as "Steady Eye Contact is All the Listening You'll Ever Have to Do" and "Befriend People Who Are Good at Things You're Not. Like Opening Cans." Recently a childhood friend posted on Facebook that he was struggling to find the humor in Parks and Recreation, a show all his friends had told him was worth watching. After I recovered from my various levels of disbelief (You’re just now watching Parks and Recreation? You don’t find the character of Ron Swanson hilarious? Leslie Knope bothers you? ), I thought about that most elemental of questions: What is Funny? 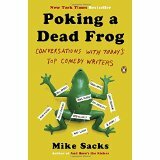 The answer (other than farts, of course) may be unknowable, but Mike Sacks provides us with some of the smartest thinking about the question in his impressive Poking a Dead Frog: Conversations With Today’s Top Comedy Writers. The Coldest Girl in Coldtown is Holly Black's (The Spiderwick Chronicles, Tithe, Doll Bones) first vampire novel, based on her short story of the same name from the collection The Poison Eaters and Other Stories. After passing out in a bathtub at a party the night before, seventeen year-old Tana wakes up prepared to be embarrassed about whatever kind of fool she's made of herself. But she's not prepared to find nearly everyone else from the party dead, attacked by vampires and drained of blood. It's horrifying, it's shocking, but it's the scale of the killings that's notable, not the attackers. In Tana's world--like our own reality in every other respect--vampires are common. When Tana was six vampires were "Muppets, endlessly counting, or cartoon villains in black cloaks with red polyester linings." Sometime after that, a vampire from Springfield, MA, named Caspar Morales set about spreading vampirism as widely as he fancied. And now, the world has "gone cold." In some parts of the world, streets "teem with vampires," held in check only by vampire hunters who take out the undead in the usual ways: beheadings, wooden stakes to hearts, fire. In the US, the problem is handled differently.